An artistic rendering of Mars exploration by Chesley Bonestell. Given recent events on Earth, like climate change and changing world powers, people are are worried about the future of humanity. One good option for continued success of the human species would be to colonize other planets. First, colonies in space could be used if something happened to Earth. Most people want to think Earth could last forever, but it won’t. At some point a catastrophe whether natural, like an asteroid, or man-made, like climate change, could destroy the Earth or render it uninhabitable.If the Earth were destroyed or damaged in a catastrophe then a colony in space could become a safe haven. However, no one is suggesting that we just abandon Earth and all move to space. As cool as that would be it’s probably not feasible. Instead we should concentrate on not only forming space colonies as well as adapting the technology from those colonies to saving the Earth. Next, there are a lot of resources in space. Asteroid mining seems to be the stuff of science fiction but it is soon to be science fact: in February 2001 NASA landed a probe on an asteroid and in September 2016 the Rosetta mission deliberately crashed into a comet after surveying it for several years. While getting a robot out there, not to mention designing it in the first place, would be a real challenge. But it might not be necessary. Near Earth Objects, or NEOs, are asteroids that come fairly close to Earth, and could be mined relatively easily because of their proximity to Earth and some of them have more resources than Earth does. On top of the number of resources they have if we mine them instead of the Earth. Resources that could be mined from asteroids include metals like platinum, nickel, iron, gold and water. While some people point out that it’s not feasible to get to the asteroid belt and mine the asteroids there and it isn’t, for now at least. However, because of NEOs we don’t have to go that far – they occasionally come closer then the Moon. Finally, the lower gravity on other planets will be easier to launch then from Earth. One of the main problems and why rockets need so much fuel is because escape velocity is about 11.2 kilometers per hour (6.96 miles per hour). If a spacecraft is launched from a lower-gravity planet or Moon, then it will require less fuel, and a simpler rocket can be used because to launch something less fuel is needed, which makes the rocket weigh less and it needs less extra fuel to carry the weight of the fuel needed to launch. We have the technology to go to space and it’s within reason to live there. Why shouldn’t we? Where is Humanity’s next home? More and more in the media, the topic of going to Mars and establishing base in the next decade has a been a prevalent one. If Humanity is planning to make a permanent residence on Mars there is lot consider. Currently there are not many theories to solve the problems of making Mars Earth two. Which is where my concerns that we are jumping the gun on this endeavor. Let’s say humanity found somewhere (a planet) we want to go. We’ve chosen to leave and we have some people who want to go there. Unfortunately the conditions on that planet aren’t exactly what we need to survive. People who are familiar with a lot of real-time strategy and science fiction probably have heard the term terraforming; the idea that you can change a planet to make it better for you. Making an imperfect place, perfect. Global warming has been damaging our planet and making it warmer since the eighteen-hundreds. Nice job humans. Let me tell you a crazy idea, why not put carbon spilling factories on Mars to thicken and warm up it’s atmosphere like a little warm blanket? Not a completely bad idea, however we can’t just pop over there because it’s kind of far. Mars’ lacks a thick atmosphere and a planetary dynamo(magnetic field) to hold a thicker atmosphere in place. Mars’ also has weak gravity and host of other problems. Still, scientists are thinking about this stuff really seriously. So let’s talk about Mars. Mars, it’s probably our best bet for a lifeboat planet, even though it is pretty void and desolate. Basically we would need to cut the UV rays, the temperature and pressure of the atmosphere to be more earthlike, and introduce water. Mars’s atmosphere is 100X thinner than the earth and is composed of is 95% carbon dioxide, almost 3% nitrogen, a <1% argon, and very little oxygen. Mars’ atmosphere is so thin, if you were to walk onto Mars without a spacesuit the low pressure would make your blood boil. Not in a hot way but your blood would become a gas and that’s not too fun. Recently experts were thinking of terraforming Mars by freeing heat trapped carbon dioxide from the Martian crust back into the atmosphere. Essentially creating global warming on Mars because it is really cold. It actually seemed pretty feasible until you look at the results from NASA’s MAVEN Mars atmosphere and volatile evolution mission from late 2015. I’m sure you’ve all looked at the results. MAVEN showed that the CO2 levels on Mars went up after its atmosphere was stripped away. Mars’ atmosphere was stripped away by the Sun’s solar wind. Mars does not have an electromagnetic field like Earth does, generated by the core of the earth spinning. Mars’ also didn’t have enough gravity to hold on to all of those atmospheric molecules. According to the principal investigator of the NASA MAVEN mission, Bruce Jakosky, those molecules have been removed from the solar system entirely. It’s not possible to bring Mars’ atmosphere back. So why not another planet, what about Venus? Venus is closer than Mars, at 26 million miles from Earth at its closest point and 160 million at its furthest. The shorter distance makes it easier to send help if something goes wrong. Venus is also 80% the mass of Earth and has 90% the gravity vs Mars which is 10 times smaller and has 38% the gravity. Venus is often considered to be Earth’s twin but it has a surface temperature of 864 degrees F, hot enough to melt lead. Another concern is Venus’s surface pressure being high at 92 bar, compared to the Earth’s average surface pressure of 1 bar. 92 Bar would be about the same pressure as going 1000ft deep into the Ocean. That’s far beyond the crush depth of most military submarines. Every lander or probe sent to Venus’ surface has had a fairly short life, with the longest one lasting only 2 hours before being destroyed by the environment. Go upward 31 miles above the surface of Venus it isn’t as bad with similar pressure, gravity and radiation protection to Earth. Which is why NASA has HAVOC, the High Altitude Venus Operational Concept, a floating city science lab or cloud city from Star Wars. But the general consensus is that the other planets are uninhabitable due to temperature, distance, or a lack of a surface to stand on. So, in terms of planets in our solar system, Mars becomes the obvious destination. So what about are closest neighbor, the moon? Nasa has published a study that colony could be dug under the Moon’s surface and still be okay or in an existing craters. There is still the of cosmic radiation because the moon lacks an atmosphere. Luckily dirt is actually a pretty good reducer of radiation and nuclear fallout can be blocked by like a foot and a half of dirt or concrete packed the right density. In 2008 study by nasa’s lunar Science Institute found that lunar regolith can also do that it can also block radiation. There is still no solution to gravity issue but a controlled inclosed moon base could be a possibility. Overall I think a moon base could be great test run for a enclosed base on Mars. I would want to get right the first time with Mars because it takes eight months to get there where the moon only takes three days. This makes help more readily available if something goes wrong. For now I think we should hold off on making Mars Earth two and use a moon base as a test run. This way we will have more time to work on the issues of Terraforming Mars. There is still a strong achievement gap for underrepresented minorities in the science, technology, engineering and mathematics (STEM) fields. There needs to be an increase of local efforts to create STEM programs for minority students in underrepresented communities. Implementing after-school science programs for minority students will increase their participation rates and lead to positive attitudes towards STEM. Engaging students in STEM programs from a young age increases their participation for future STEM disciplines. STEM programs can increase interest of underrepresented minorities (URM) starting at a young age. A third of students lose an interest in science by the time they reach fourth grade. The number increases to 50 percent of students losing interest or finding science irrelevant to their future plans by the time they reach eighth grade. URM (Black, Hispanic, Native Americans, Pacific Islanders) in extracurricular programs would help suffice for the lack of exposure to STEM fields and close the persistent achievement gap. A IEEE study by Yeaun and associates evaluated the influence of robotic clubs in increasing participation of URM in STEM. Hispanics are the fastest growing minority population in the U.S, yet only earn about 10% of undergraduate students majoring in science and engineering. The study states that the only STEM resources for many low income Hispanic students are public classrooms. However, the curriculum of the education system implements practices that neglect the needs of culturally and linguistically diverse students. URM students potentially see language barriers and their cultural background to disconnect them from success in STEM. Employing a teaching curriculum in a STEM program that values a child’s linguistic and cultural backgrounds as sources of knowledge or “funds of knowledge” will create a positive outlook on STEM disciplines. The authors design and establish after-school robotic clubs throughout San Antonio to sustain children’s interests in STEM; particularly those children from URM. The study recognizes that robotic clubs have become one of the most popular activities for K-12 schools. The school district consisted of having large hispanic and economically disadvantaged populations. The research concludes that the design of these clubs and implementation open up a STEM pipeline to low-income Hispanic students, and can be used to target other underrepresented minorities. Local efforts need to increase to create STEM pipeline programs in and out of school to increase participation from underrepresented minorities, starting from a young age. Narrowing the achievement gap in STEM to increase the diversity is vital because it is no more diverse than it was 14 years ago. Taking action and targeting STEM programs to URM will broaden their participation, creating a very beneficial step to seeing more culturally diverse fields of science in the future. Hurtado, S., Newman, C. B., Tran, M. C., & Chang, M. J. (2010). Improving the rate of success for underrepresented racial minorities in STEM fields: Insights from a national project. New Directions For Institutional Research, 2010(148), 5-15. Yuen, T. T., Ek, L. D., Scheutze, A. (2013) Increasing participation from underrepresented minorities in STEM through robotics clubs. IEEE International Conference on Teaching, Assessment and Learning for Engineering, 2013. Recycling: does it actually help the environment? Picture this: you’ve just finished a refreshing can of soda on a hot summer day. But wait, what should you do with the can? I bet you can remember your parents telling you to “Recycle it! It’s good for the planet!” Here’s the thing though, how good is it really? Recycling has been hyped up as the solution to all our waste problems. At a young age, children are taught to recycle plastics, paper, and “go green.” However, certain types of plastics, or paper that becomes too wet or damp, cannot be recycled at all. Also, plastic bags can become wrapped around gears on the machines used to recycle, resulting in a shut down of the plant for costly repairs. Despite that, how much does actually get recycled? It is easy to just throw something in the recycling, but how do you know if it can actually be recycled? Often times, people throw trash in the recycling. Even though the waste is separated in the recycling plant to what can and cannot be recycled, this process is tedious and inefficient. In Chicago recycling plants for example, employees will have to eventually throw out tons of trash because it can’t be recycled. Greg Maxwell, senior vice president at Resource Management in Chicago, said the amount of things sent to landfills from recycling plants could be as high 30 percent or 16,822 tons. Another issue with recycling is that it is not always faithfully practiced in cities and industries. Think about it like this, if one small community in a much larger city continues to recycle and try to help the earth, what difference does it make if only a small portion of the city does it? Now, I know you must be thinking “Who cares if it’s not a huge contribution? I’m still making a small difference.” Turns out, the bad outweighs the good when it comes to recycling. The vehicles used to pick up your recycled waste are essentially creating a large amount of air pollution. The thing is, garbage trucks and recycling trucks are the exact same thing. They both run on fossil fuels that produce immense amounts of exhaust. Now back to our city analogy, what if the entire city started to recycle? Obviously, the government would have to employ more recycling trucks to collect the recycled waste, right? Well, more trucks equals more emissions. Not only are the trucks creating large amounts of pollution, so are the plants where the recycling takes place! For example, a recycling plant in Washington state produces more toxic emissions than the factories in that area. These emissions contribute to Global Warming and Air Pollution. The irony here is that, while recycling is supposed to be good for the planet, the process is contributing to the pollution problem. Recycling has become an excuse for us to continue producing excess amounts of garbage. It gives us the illusion that we’re doing something good for the planet when we do recycle, but in reality, nothing has changed. The solution? Simply produce less waste. Why recycle a plastic bottle when you can use a refillable metal one? By producing less waste, you are effectively helping the planet. Less waste overall has multiple benefits. First, you’re reducing the amount of trash that could end up in landfills. Second, there is less of a need for a large amount of garbage/recycling trucks to pick up your trash. Finally, you can easily live a cleaner life. The solution to this problem is really very simple: reduce, reuse, but don’t recycle. Have you ever wondered what the day to day lives of soldiers battling with the horrors of World War I was like? There’s only so much Sandra Bullock’s “In Love and War” can teach you about the daily lives of soldiers. Discovering information about the people and activities behind winning the Great War opens up the world to admire their history and, for some, appreciate their ancestors. WWI soldiers documented the record of operations through war diaries and intelligence summaries. Zooniverse allows people to transcribe these notes through a project called Operation War Diary. This operation contains documents from both British and Indian cavalry and infantry divisions on the Western Front. War diaries kept the official record of the war for future historians and for the military to later assess its’ tactics. Digitizing and cataloguing war diaries will help historians get detailed information about the activities of soldiers. And also help the Imperial War Museum’s mission to remember the lives of WWI Soldiers. First, you first have to categorize the a page into either blank, cover, diary, orders, signal, report, or other. Once you classify the page, you have the opportunity to tag details such as date, time, unit activity, weather, etc. The citizen historians can choose from a variety of Infantry reports such as the 49 Infantry Brigade. The first page from this section contained a cover page citing the date of it (30 Sep 1916 – 29 Apr 1918). Citizen historians classify the reports for the benefit of not only the historian community, but for families who’ve had members fight in WWI. The soldiers mentioned in these war diaries have families who can now get a better picture of what their relatives sacrificed and faced in war. Transcribing the soldier’s war diaries allows their lives to educate us. Will the real supernova please blow up? When some stars die they explode in a huge supernova. But what separates a “super” nova from an “it’s alright I guess,” nova? 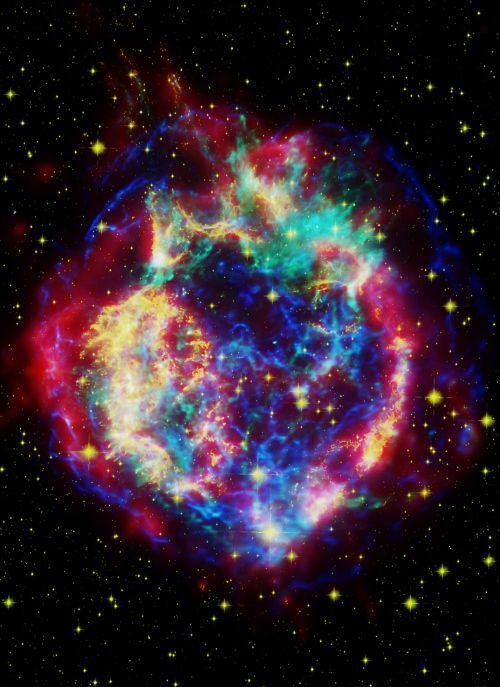 Supernovas the universe’s best fireworks; they explode with a flash brighter than entire galaxies and send shock waves shooting out in all directions. Sadly, our own sun won’t be able to light the giant space firework. Instead the sun, the miasma of incandescent plasma in the sky that has been burning for about 4.6 billion years, which means our sun is approaching a midlife crisis! In another 5 billion years the sun will run out of hydrogen fuel for fusion and then will go through some expansions and contractions. As a last stand to fight off gravity and collapse, the sun will eventually lose its outer layer, leaving behind a little glowing core called a White Dwarf to cool off in space. As star deaths go, the Sun’s will be a pretty peaceful one. Much bigger stars prefer to go out in a blaze of glory or what we call a supernova. So what separates our sun’s fade to black from a grand finale? The Chandrasekhar limit, named after a Indian physicist, determines what mass a star has to have to go boom. Chandrasekhar discovered mass is the key to the galaxy’s greatest fireworks show, and he did it at the age of 19! Feeling old yet? More specifically, he calculated that if a white dwarf was 1.4 times our sun’s mass, it would not be able to fend off the force of gravity. The star would collapse, and would ignite a runaway chain of fusion reactions and BAM! Supernova! There are two ways stars can reach the Chandrasekhar limit. A Type Ia supernova occurs by a white dwarf leaching off another nearby star; these two bodies are called a binary system. The white dwarf can pull matter from its partner star until reaches about 1.39 solar masses, only to end with a fiery explosion. A Type II supernova would need a star that would have to be at least 8 times our sun’s mass to have a core heavy enough to light that giant space firework. Unlike our Sun, stars that massive don’t stop at fusing carbon and helium into oxygen. Massive stars burn neon, oxygen, and silicon to keep the fusion going, but once iron is made, they’re done for because iron uses more energy to fuse than it puts out. Once the Chandrasekhar limit is reached we get supernova! The explosion of a supernova frees up elements like carbon,oxygen, and iron that would otherwise have been locked up in the star’s core. Once the explosion dissipates as a nebula, it leaves behind a ball of densely packed neutrons called a neutron star that’s only a few miles across. If the star was really massive, the neutrons will be crushed and form a black hole. Unfortunately, because stars have to be so huge to explode, supernovae and black holes don’t happen very often. In our galaxy, supernovas only occurring about twice a century. One example of a star on supernova watch is Betelgeuse, burning off the shoulder of Orion. Betelgeuse is a red supergiant at least 430 light years away. When it does go, Betelgeuse’s supernova will be brighter than a full moon but it probably won’t explode for another 100,000 years. Unless you say it’s name three times. The life of star is a constant battle against gravity. Throughout a star’s life, it’ll perform fusion within it’s core to combat gravity and maintain equilibrium. However a star can’t do this forever, eventually gravity will win and force the star to collapse in on itself. Some stars will meet rather peaceful deaths as white dwarfs, others will go out in a similar fashion the Death Star did as a supernova. Despite it being sad that a star just exploded in supernova, be happy that it’s death gives you life. The explosion creates nebulae which is a nursery for young stars which begins the cycle anew.